Walmart says it's deploying an army of so-called holiday helpers to help customers get through the checkout line. They will start working Nov. 4, when the giant retailer begins its relentless focus on holiday shopping, especially for Black Friday, the day after Thanksgiving. "Holiday helpers, ready with candy canes and smiles, will assist customers with finding the shortest line, open registers as needed and will even quickly grab items customers might have forgotten," Walmart (WMT)said in a press release Thursday. 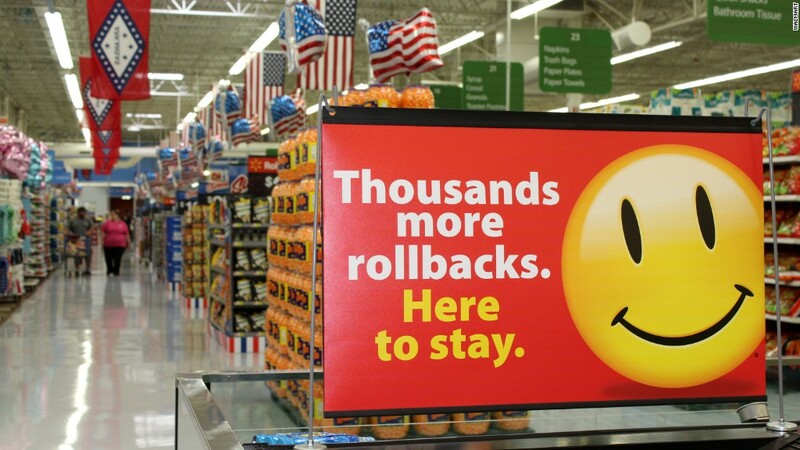 Walmart usually hires tens of thousands of workers for temporary holiday jobs. Walmart brought back its familiar front door greeters in May after a hiatus. The company has been experimenting with the role after hiring thousands of greeters since then. The job serves a number of roles, including customer service and shoplifting prevention.